Phi, Other Effect Plug-in from Wavesfactory. Have you remarked how the Golden Number is everywhere to be seen but not much to be heard? Well, that was until now: Wavesfactory introduces Phi. Wavesfactory's VST/AU Phi plug-in applies the Divine Proportion (or Phi) to your music, re-arranging the samples of your track to follow the 1.618 ratio. There is just one control, amount, that sets how much perfection you want to be applied by blending the original signal with the "divine" signal. Resulting music will sound just beautiful, natural, organic, alive - for an almost spiritual experience. Phi is not an EQ, a compressor or even any other single effect you've ever come across with. This is something that has been known for millenials and that has lived within us forever. 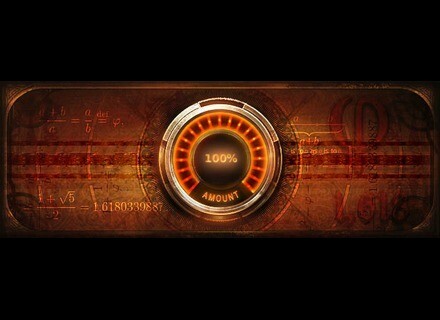 Now, finally, you can use the Golden Ratio in your music. And, it's free! Voxengo releases v1.4 of free Marvel GEQ plugin Version 1.4 update of Voxengo's Marvel GEQ graphic equalizer is now available for download. Sonarworks adds support for 5 new headphones Sonarworks has added five new models to its list of default calibration curves for Reference 3 Headphone. Multiply your creative processing with these multi-effects plug-ins You could collect individual plug-ins that deliver the kinds of effects you use most; that’s one approach, and a popular one. Another is to use a single plug-in that offers lots of effects for sound design, recording tracks and mixing them down. Personally, I enjoy discovering new timbres purely for the fun of it, and multi-effects processors contribute a lot to my exploratory journeys.